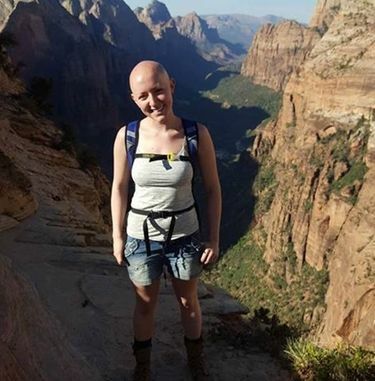 Search and rescue teams resumed their search for missing hiker Samantha "Sam" Sayers Sunday. She's been missing since Wednesday after going on a solo hike south of Darrington. The search for a Seattle woman missing since she went on a solo hike in the rugged mountains south of Darrington last week continued on Monday with more than a dozen groups from six counties, according to the Snohomish County Sheriff’s Office. Samantha “Sam” Sayers has been missing since Wednesday despite a massive search effort that has included dogs, helicopters and dozens of volunteers. Thermal imaging cameras are being used in an air search by King County rescuers on Monday, and were used in a search by Snohomish County over the weekend, according to an emailed statement on Monday from the Snohomish County Sheriff’s Office. A rescue helicopter deployed by the sheriff’s office conducted 33 hours of searching in the past two days, it said. About 50 search-and-rescue members and three K-9 teams resumed their search at daybreak Sunday, said Snohomish County sheriff’s Lt. Norm Link. Link said Sunday night the searchers planned to “strategize” on Monday and determine their next step. He described the searchers as exhausted. The weather has been cooperative.